The man accused of killing a pet shop worker in Northampton 22 years ago when he was 17 has appeared in court charged with murder. Stuart Jenkins, aged 39, of Ryecroft Street, Ossett, appeared in the dock at Northampton Magistrates Court today following his arrest on Tuesday. 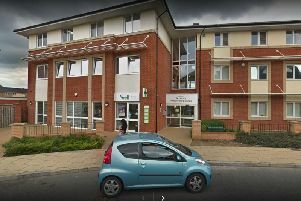 He is accused of killing 76-year-old Arthur Brumhill at the Paul Denton Pet and Garden Centre in Wellingborough Road between January 20 and January 23, 1993. During the brief hearing he was read the charge of murder and was sent to crown court for a commital hearing. He did not speak during the hearing. Jenkins is about five foot six inches tall and of medium build. He had ginger hair that was shaved at the side and combed in a side parting on top. He wore a black, polo shirt inside out and black trousers. He will appear at Leicester Crown Court tomorrow (Friday).